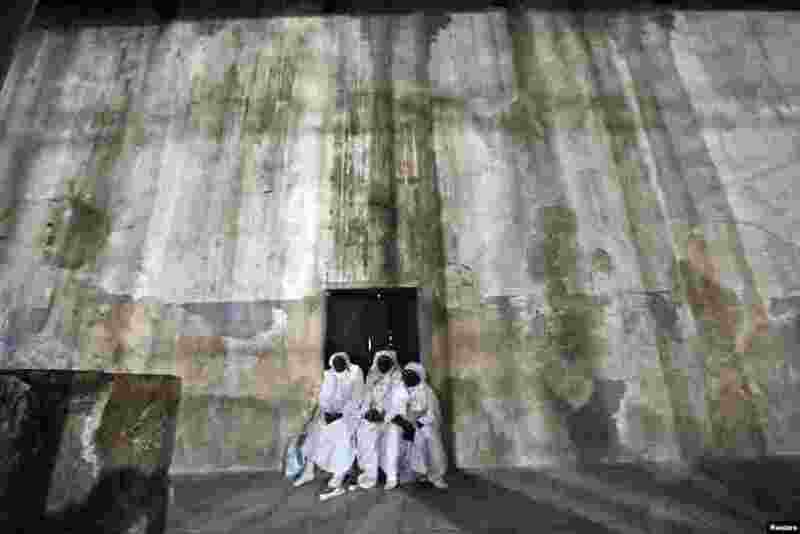 ١ Nigerian pilgrims wait inside the Church of the Nativity, the site revered as the birthplace of Jesus, during Christmas celebrations in the West Bank town of Bethlehem. 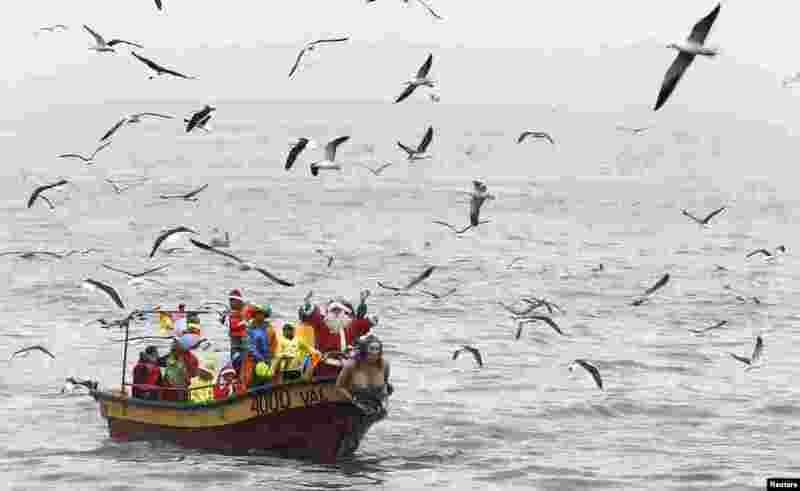 ٢ Ruben Torres, dressed in a Santa Claus outfit, waves to people from a boat with fishermen on Christmas Eve, along the coast of Valparaiso city, about 121 km (75 miles) northwest of Santiago, Chile. 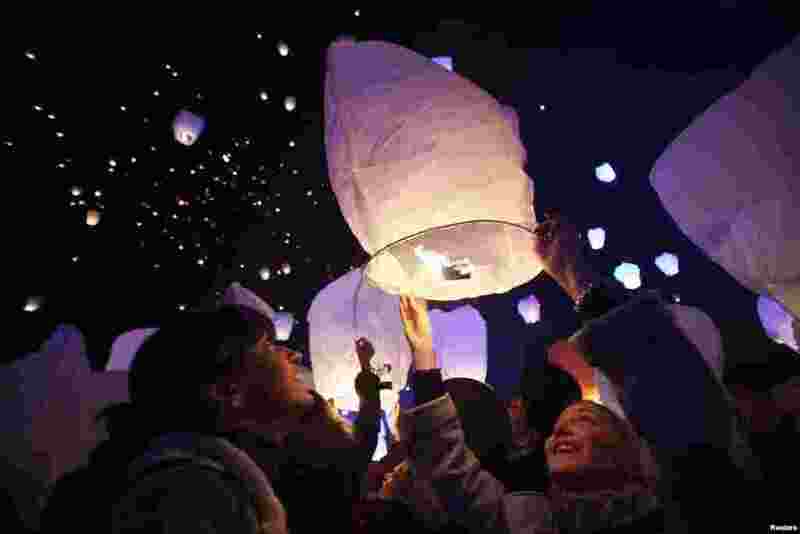 ٣ A participant releases a sky lantern during the "Kapulica & Lanterns" event in Zagreb, Croatia, Dec. 23, 2013. The event, organized by contemporary artist Kresimir Tadija Kapulica as part of the ArtOmat Fair ahead of Christmas, involves people releasing about 1,000 lanterns to symbolize sending wishes to the universe. 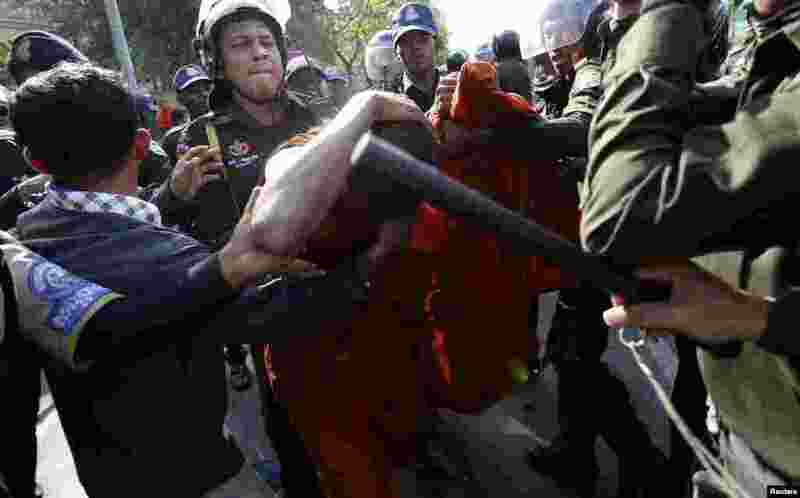 ٤ A Buddhist monk shields himself from police officers during a protest in front of the City Hall in central Phnom Penh, Cambodia. About 100 former Boeung Kak lake residents, including Buddhist monks, demanded that the government provide them with more compensation over their forced eviction from the area, to pave way for a private real estate development project, according to protesters.